Earn $5.24 in Rewards credit (524 points) What's This? Grab a Direct Mount Narrow/Wide Chainring for single chainring perfection. 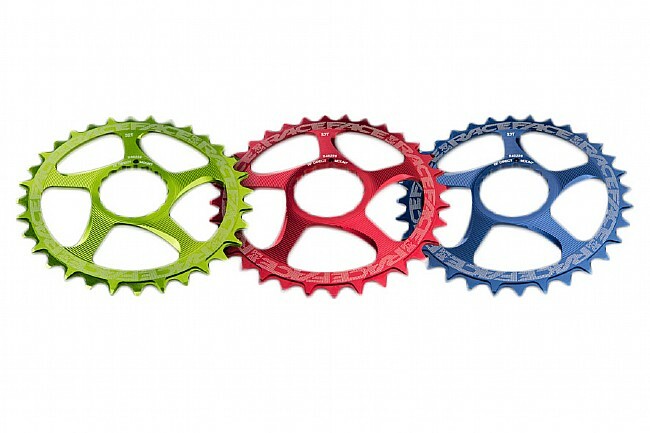 Designed by Race Face to work with their Cinch system, these are ideal for running a single chainring setup on a mountain bike. These feature a narrow wide tooth pattern for excellent chain retention without the use of a chain keeper, especially when paired with a clutched rear derailleur. 4mm thick and made from aerospace strength 7075 aluminum, these direct mount rings are strong and stiff, definitely mountain ready. The Direct Mount Chainrings come in a variety of sizes and are only compatible with crankarms using the Race Face Cinch system. 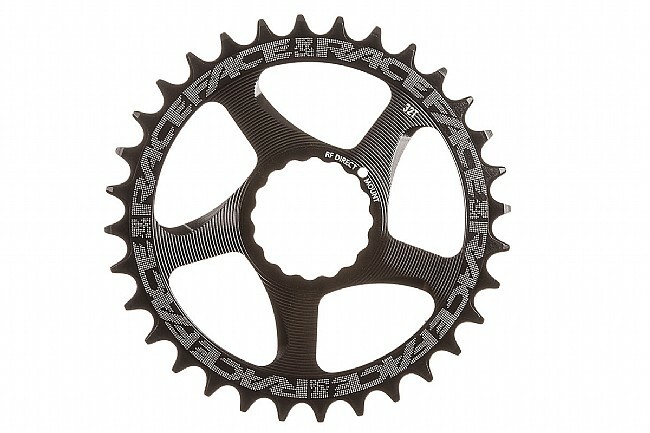 Compatible for 9, 10, and 11 speed and weighing 41 grams in the 26 tooth version. Good install directions on website, easy install, appears to be good quality. Time will tell. Really improved the climbing ability of my mid-fat, which came equipped with a 32 chainring. I highly recommend Race Face. Been doing business with this company for the last year or so, and they have never let me down, the product is top quality and ones of the things that I appreciate the most is the prompt response to send what I have need.